The past few months I have been painting away for Cowgirl Up in Wickenburg Arizona at the Desert Caballeros Western Museum! One of the most spectacular shows I've ever had the honor of being apart of. The show will begin on March 23rd, 2018 and will stay up till May 13th, 2018. The 13th annual ‘Cowgirl Up! Art from the Other Half of the West’ Invitational Exhibition & Sale. Three days of kick-off weekend festivities begin Friday, March 23rd and continue through Sunday, March 25th. The exhibition and sale officially opens to the public on Sunday, March 25th. Cowgirl Up! 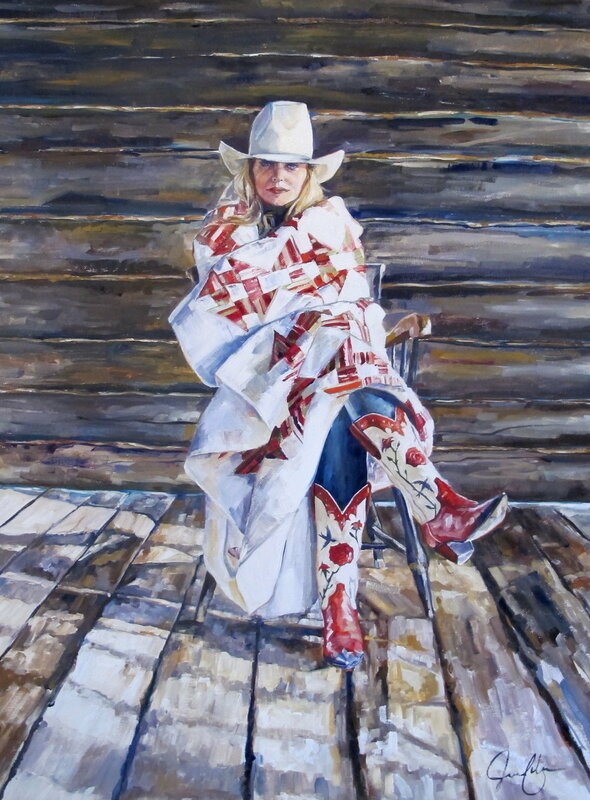 captures the imagination of just about everyone who is attracted to the lifestyle and spirit of the West. Over the course of the past decade, the show and sale have become the most important event for Western women artists in the country. 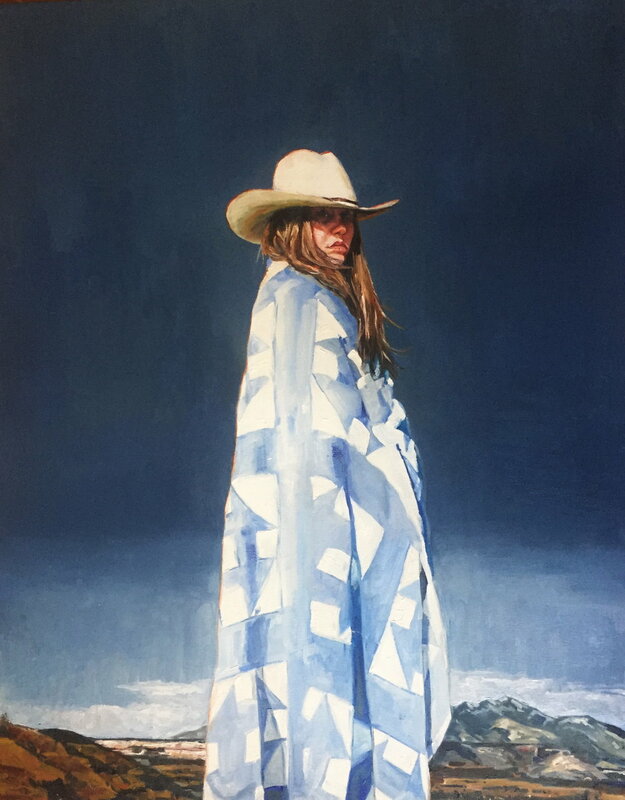 Regarded for the breadth of extraordinarily talented artists invited annually as well as the enthusiastic and loyal patrons who support the museum’s passionate vision, DCWM is privileged to carry the banner for the West’s most noteworthy women artists. ‘Cowgirl Up! Art from the Other Half of the West’ garners international acclaim from collectors and connoisseurs across the globe. 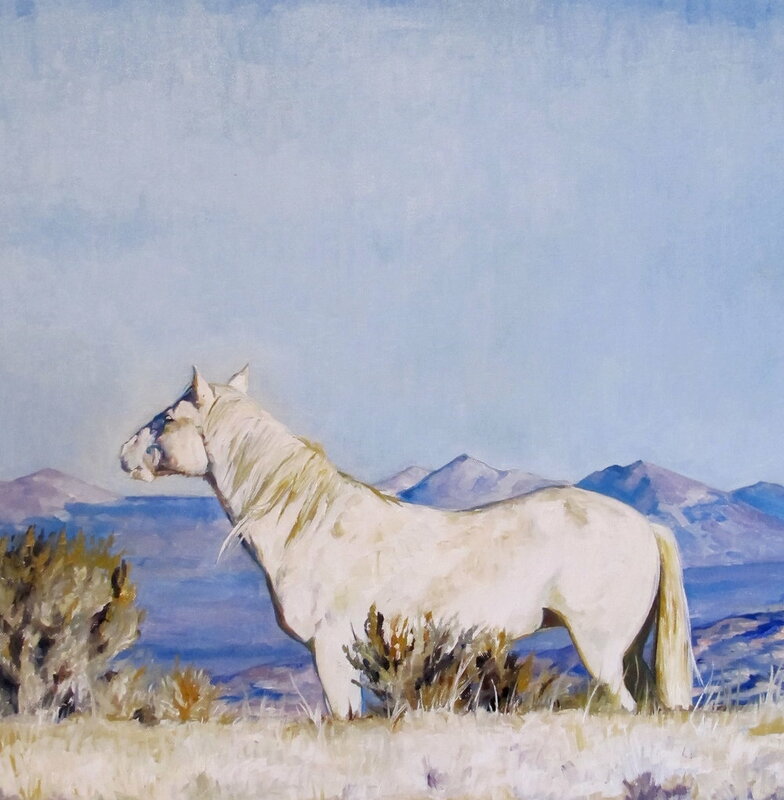 Since 2006, when Desert Caballeros Western Museum identified the need to step forward on behalf of the West’s women artists, this nationally hailed exhibition has gathered more than 50 of the region’s celebrated contemporaries, in recognition of their enormous contribution to the cultural legacy of the American West. This year I’ve been working on a series that all began from the painting Underneath It All The inspiration came from a love of quilts and what they mean to Americans and more specifically American women. Quilts have been a large part of American history and women have been making quilts for centuries. What began as something that was simply for the purpose to keep warm, over the years turned into a form of art. As the frontier was conquered quilting took on design elements and slowly became an object of Americana. The rich history of quilts gives us a sense of heritage and the honor to be a woman. Each stitch took part in creating what we know as the American west. My next painting I named These Boots are Made for Her. This painting is yet another painting included in my “quilt” series, representing our history and the powerful reminder of who we are as women. Quilts are an early example of American women artists, women who brought so much creativity and beauty to this country all with the intention to keep their families warm. This painting evokes a sense of pride and strength and what it meant to be an American woman and what it means to be one now. Her deep blue eyes fixated and focused, showing strength and determination. The cowgirl wears a big tall cowboy hat representing the idea equality. The quilt draped around her, representing warmth and love, what so many women bring to life. Lastly, the boots stand for confidence, elegance, beauty, and pride. Lastly, I recently completed the painting Majesty. With a country that is broken and torn we need to find a connection. Being an artist from Colorado I have always deeply understood the meaning of “purple mountains majesty” from our countries song “America the Beautiful.” A song that is a strong reminder of what America should mean to us, the grace of a land that has been shared by all to make a beautiful home for the free. To not judge but to love thy neighbor and respect those who are different from us. To be American should mean to be a strong example to the rest of the world. The mustang represents Americans; wild and free, the symbol of the historic and pioneer spirit of the West, diverse but has come together to create a strong beautiful nation. I have some small ones I will be working on and two more large ones before the show so stay tuned!